Big cities lure us with endless lists of sights and attractions, but what about when we want to slow things down a bit? Behind the facade of the nation’s metropolises, the true authentic heart of America and the influences of old European settlers is waiting to be explored. 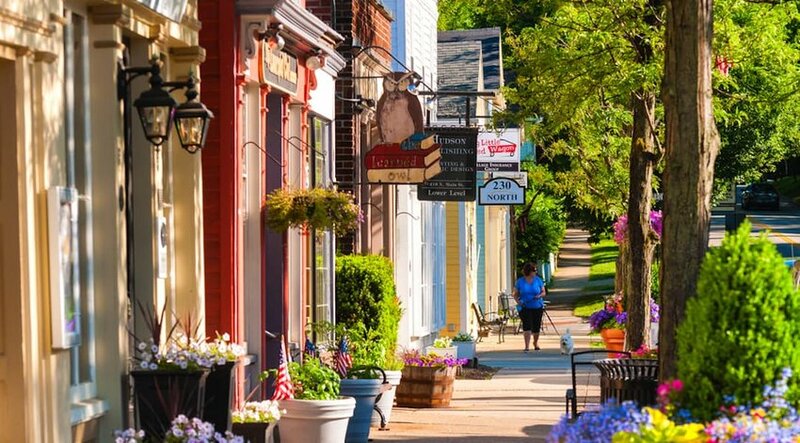 From countryside retreats to seaside ports, these are our favorite small towns in each state. 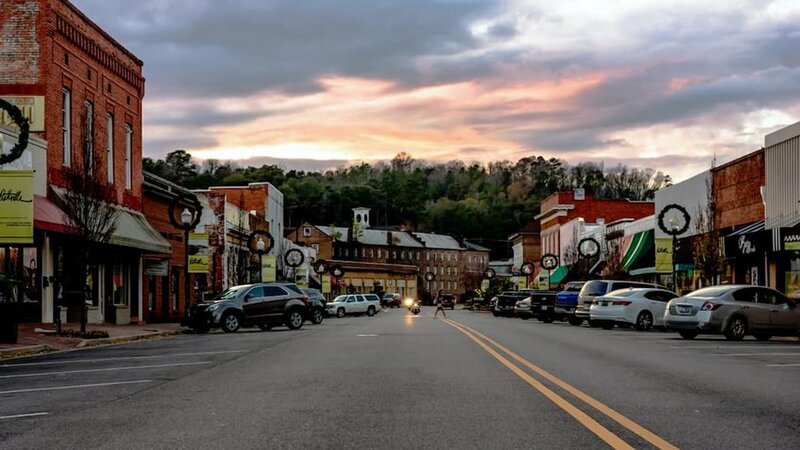 Chock-full of historic buildings, this small town is set on the Autauga Creek, which proved to be a crucial location for its early beginnings as an industrial center. Nicknamed "The Fountain City" for its many artesian wells, this small town is now a popular destination for golfers. Stop by the old historic locations, like the Bell House and Buena Vista, or play a round of golf at a nearby course. Don't miss: Capitol Hill golf course, one of the stops on The Robert Trent Jones Golf Trail, which hosts the Yokohama Tire LPGA Classic each year. Set on the shores of a northern arm of the Chilkoot Inlet, Skagway is a window into the bygone era of the Klondike Gold Rush. 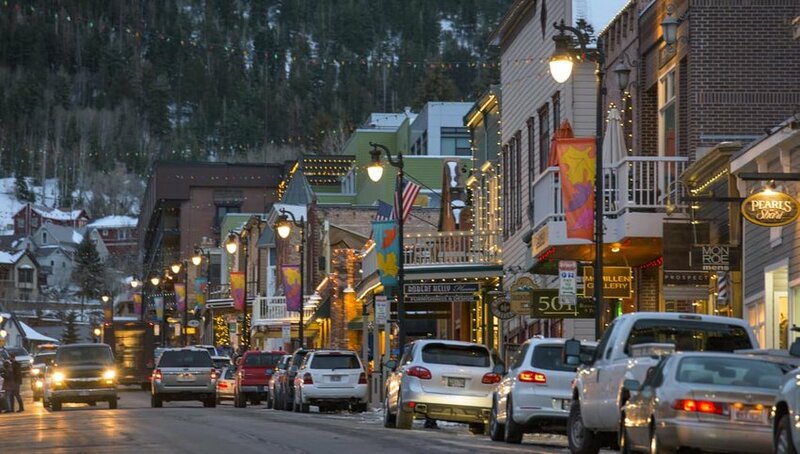 The wooden sidewalks and faux storefronts along Broadway resemble a movie set while the encompassing snowy mountains are a natural delight. Ragtime music sounds from the saloons and harks back to the raucous days of the gold rush. Don’t miss: A trip on the White Pass and Yukon Route Railway to the historic White Pass mountain pass. 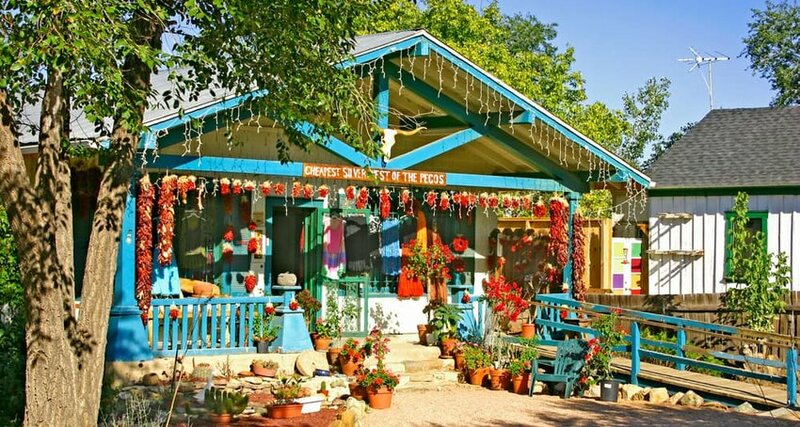 The stunning setting of Bisbee at the edge of Tombstone Canyon, and in the foothills of the Mule Mountains, should be enough to persuade you to come here. If it isn’t then the city’s bohemian vibe and thriving arts scene should. In Old Bisbee, the historic center, artist studios, breweries, galleries and hotels occupy 19th-century former miners' homes. Don’t miss: Relive a miner’s workday by traveling 1,500 feet (457 meters) underground on the Queen Mine Tour. Some say that this city in the Ozarks resembles Switzerland with its mountain backdrop, winding hilly roads and elegant architecture. 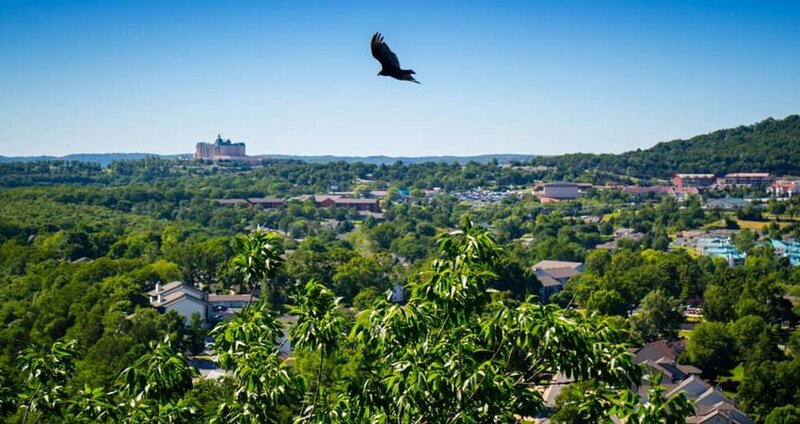 Whether you agree or not, there’s no denying that Eureka Springs is a great place to escape from the bustle of big cities. There’s boutiques, galleries and parks to keep you busy and bars, music festivals and an annual UFO conference to keep you entertained. Don’t miss: A walk to Christ of the Ozarks, modeled on its more famous counterpart in Rio de Janeiro, for unbeatable views. Chumash Indian heritage blends with New Age lifestyles and rancher traditions in Ojai. Downtown is a village within a city where local art galleries line up next to hippie shops and eclectic restaurants. You can get active by hiking trails in the nearby Los Padres National Forest. Then pamper yourself at one of several upmarket spa retreats. Don’t miss: The live music and entertainment of Ojai Day, held on the third Thursday of October. Telluride is by no means a secret but if you seek adventure then you’ll find it here. The town’s ski resort has some 2,000 acres (809 hectares) of skiable terrain, miles of hiking trails and an 18-hole golf course. Old West-style buildings in the downtown area hark back to Colorado’s gold rush. Once home to gold prospectors, they now entice shoppers and partygoers. Don’t miss: Rent a car and take in the pristine scenery of southern Colorado along the San Juan Skyway. New England enchantment abounds at riverside Mystic, where you can while away hours browsing locally owned shops and watching the world go by from cute cafés. The Mystic Seaport has historic ships, museums and the recreation of a 19th-century maritime village. You can even see the sights aboard rowboats, sailboats and a 100-year-old steamboat. Don’t miss: Dinner at Mystic Pizza, the inspiration for the movie of the same name that starred Julia Roberts. Known as the Nation’s Summer Capital in the 1920s, Rehoboth Beach is perfect for a family vacation. Complimenting the town’s sweeping beach, which incidentally is a popular surf spot, are amusement parks, a mini-golf course and a waterpark. The beachfront boardwalk is packed with shops and bars and free summer concerts take place at the bandstand. Don’t miss: Hiking along trails and over sand dunes to secluded beaches in Cape Henlopen State Park. 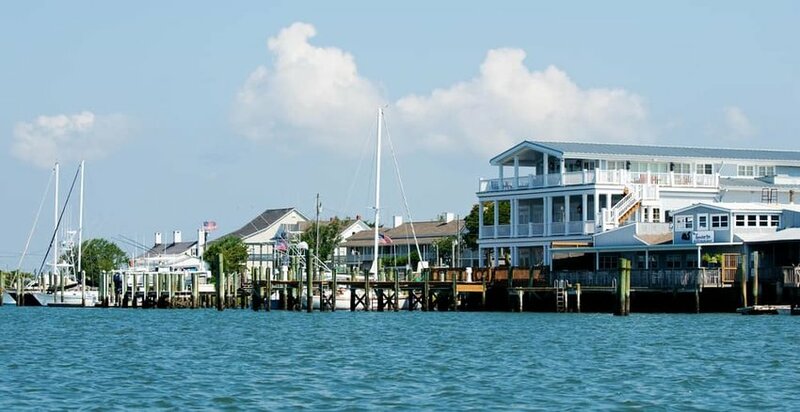 A small resort community in the Florida Panhandle, Seaside is the epitome of cute. Featuring pastel-colored homes and pedestrian-friendly streets, the beach community is tranquil and picturesque. Just how adorable is this place? The fictional town from the Jim Carrey movie "The Truman Show" was set here. Don’t miss: Just west of the town visit the Grayton Beach State Park for some coastal trails. European charm permeates the crisp mountain air of Helen in northeast Georgia. The minute you set foot in the town you’ll notice heavy Bavarian influences in the architecture, bakeries and restaurants. There’s boundless outdoor opportunities, namely hiking in Chattahoochee National Forest, tubing on the Chattahoochee River and alpine-themed mini-golf courses. Don’t miss: Typical German festivals such as Oktoberfest and the Christkindlmarkt Christmas market. When the rest of the tourists make a beeline for Hana, make the smart move and stop at Paia. There’s bags of North Shore surf culture to enjoy and a plethora of clothing stores, coffeehouses and dining options set behind colorful facades. Crack open a beer and watch local surfers and windsurfers ride big waves at Ho’okipa Beach Park. Don’t miss: Delectable seafood at Paia Fish Market. Mining heritage meets outdoor adventures in northern Idaho. History buffs will love museums such as Northern Pacific Depot Railroad Museum and Wallace District Mining Museum. Outdoorsy types will relish in biking and hiking in the Coeur d’Alene National Forest. And for powder hounds there’s two ski resorts within 15 minutes. Don’t miss: A subterranean exploration on the Sierra Silver Mine Tour. 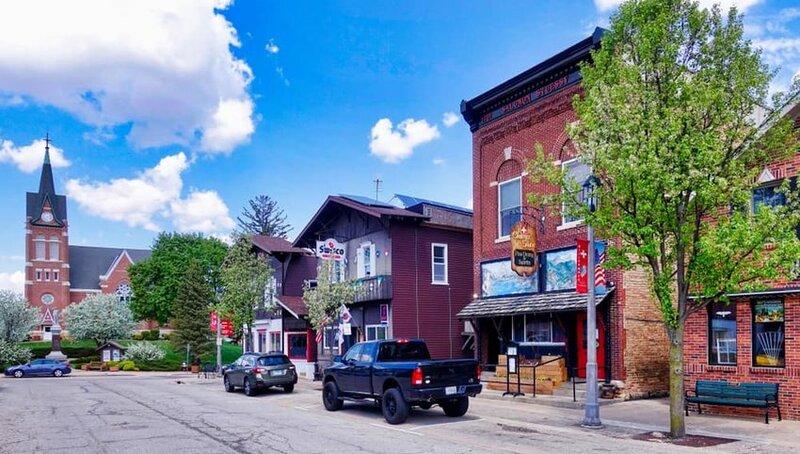 A stroll along Galena’s Main Street is about as quintessential small-town America as you’ll find. Antique dealers, galleries and restaurants set up shop in grandiose 19th-century buildings. Tree-shaded parks run alongside the riverbanks and glisten with fall foliage. President Ulysses S. Grant’s former home is open for tours and Civil War reenactments are held a short drive away in Elizabeth. Don’t miss: Sampling dozens of flavors of ice cream at the American Old Fashion Ice Cream Parlor. In contrast to the flat landscapes of northern Indian, Zionsville stands out with its hilly countryside. 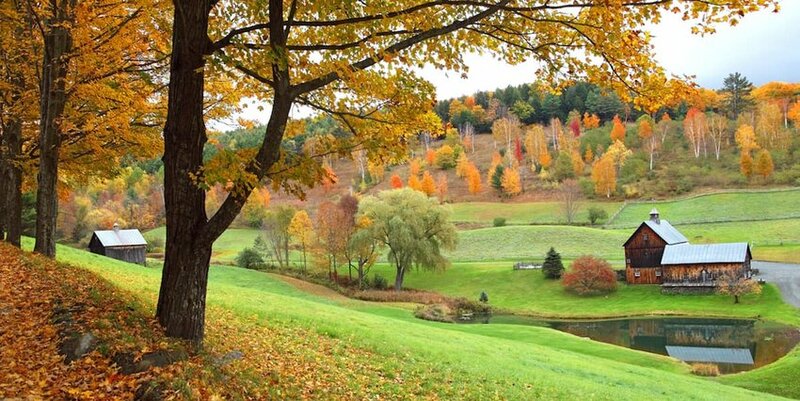 This becomes a delightful kaleidoscope of orange, red and yellow hues come fall. 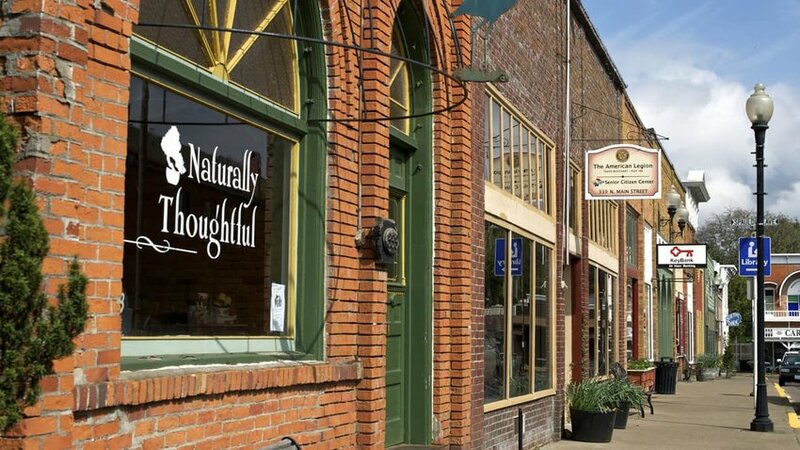 An easygoing vibe and community spirit radiate around the brick streets, where independent retailers elbow up against locally owned eateries. Don’t miss: A day out exploring the beach, hiking trails and wildlife center at Eagle Creek Park. A Touch of Holland is Pella’s slogan and with windmills, Dutch gable houses and tulip gardens it lives up to its billing. Dutch settlers wanted to create a little piece of their homeland when they arrived in the mid-1800s and traditions continue today; there’s even a manmade canal running through downtown. For more of the Netherlands, wander between the 100 buildings of the Pella Historical Village. Don’t miss: May’s Tulip Time Festival, when some 36,000 flowers are in full bloom. 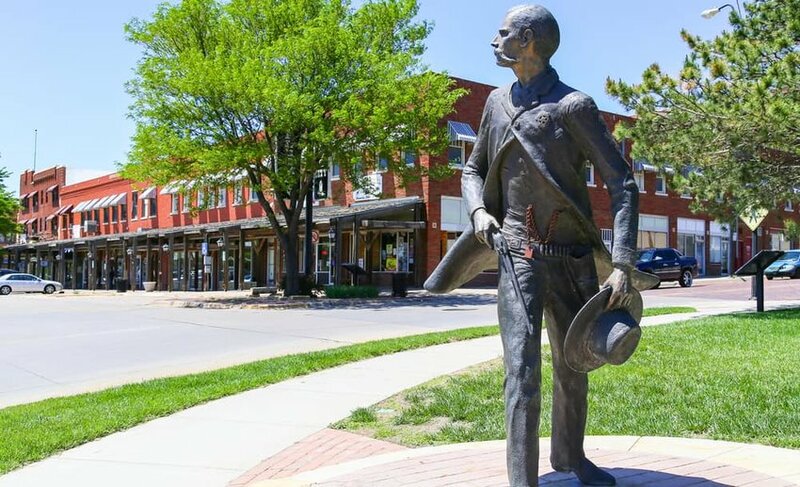 History lovers and cowboys will rejoice in Dodge City, an Old Western settlement that was once known as "The Wickedest Little City in America." 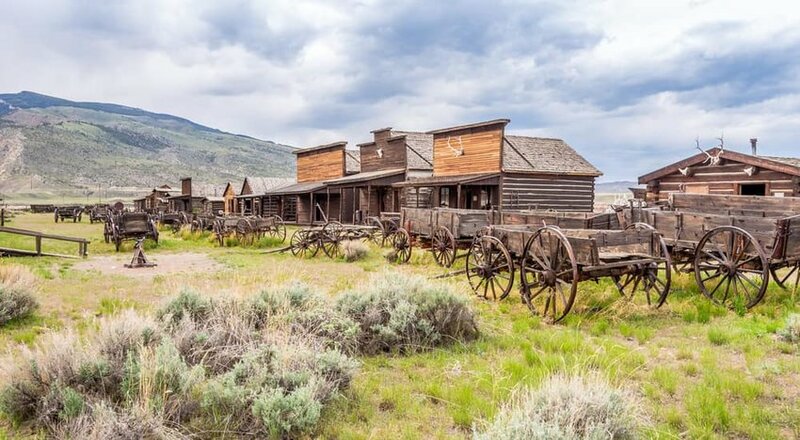 Its early population of gamblers and cowboys gave the town a colorful history that is recreated in historic buildings and gunfight reenactments. Don't miss: The exhibits at the Boot Hill Museum or the wax figures of gunslingers at the Gunfighters Wax Museum. Bourbon fans will never be short of things to do in the central Kentucky city of Bardstown. There’s a bourbon museum, bourbon distilleries, a bourbon-themed guesthouse and September’s annual Kentucky Bourbon Festival in what is unsurprisingly the Bourbon Capital of the World. There’s an alluring downtown district to see when you aren’t sipping American whiskeys. Don’t miss: The Kentucky Bourbon Trail passes 10 distilleries in the Kentucky countryside. Imagine a small city that has the allure and architectural landscape of New Orleans but isn’t overloaded with tourists. Imagine a place where the French Creole heritage of Louisiana is alive on every street corner. Image a destination where eating gumbo and strolling along the riverfront are part of everyday life. Put all of this together and you have Natchitoches. Don’t miss: Hopping between the boutiques and seafood restaurants on historic Front Street. Bar Harbor sits in the shadow of mountainous countryside on the eastern coast of Maine’s Mt. Desert Island. Locals and visitors chow down on millions of lobsters every year here and it’s customary to try the classic lobster roll and curious lobster-infused ice cream. When you aren’t thinking about your stomach, you can visit quirky bookstores or go on a whale-watching trip. Don’t miss: Hiking and boating in Acadia National Park, the only national park in Maine. If you want the perfect autumn day in Maryland then head to the west of the state and the town of Oakland. Nearby Swallow Falls State Park sparkles with fall colors while Deep Creek Lake lures watersports enthusiasts throughout the warmer months. Downtown Oakland has a superb offering of independent stores and dining options. Don’t miss: The art shows, parade and live music during October’s Autumn Glory Festival. Lord, the Berkshires seemed dream-like on account of that frosting, sang James Taylor in his 1970 hit "Sweet Baby James". Come to Stockbridge in the holiday season and you’ll find out for yourself, when snow falls on the ground and vintage decorations add color to the streets. Not only an inspiration for music, artist Norman Rockwell painted several Berkshires scenes. Don’t miss: The Norman Rockwell Museum to see displays of the artist’s original works. From picnics on the shores of Kalamazoo Lake to boat rides and coastal fun at the wild Oval Beach, Saugatuck is one of Michigan’s finest summer destinations. Add to this a thriving arts scene, superb culinary options and a sprinkling of independent fashion stores. Keep an out for the historical markers, most notably one that honors the town of Singapore, which was buried in the sand. Don’t miss: Walking the Mt. Baldhead Park Trail between the lake and beach. Connect with your outdoorsy spirit while discovering the glorious countryside of Southeastern Minnesota. 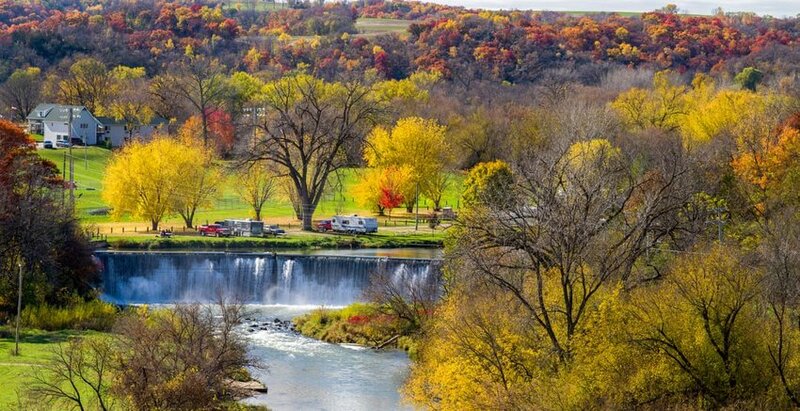 Lanesboro straddles the Root River and is crossed by a section of the 60-mile (97-kilometer) long Root River State Trail. The paved trail is perfect for biking, skating, walking and even cross-country skiing. With canoes and kayaks available to rent, there’s plenty of opportunities to cruise the river. Don’t miss: You’ll notice a distinct lack of brand stores, food chains and traffic lights in Historic Lanesboro. If it’s antebellum charm that you want then make your way to Natchez, set above the Mississippi River. There’s more antebellum mansions here than you are likely to see anywhere and the best way to see them is on a leisurely horse-drawn carriage. Natchez is also the Biscuit Capital of the World and sampling a sweet potato biscuit at a café is a must. 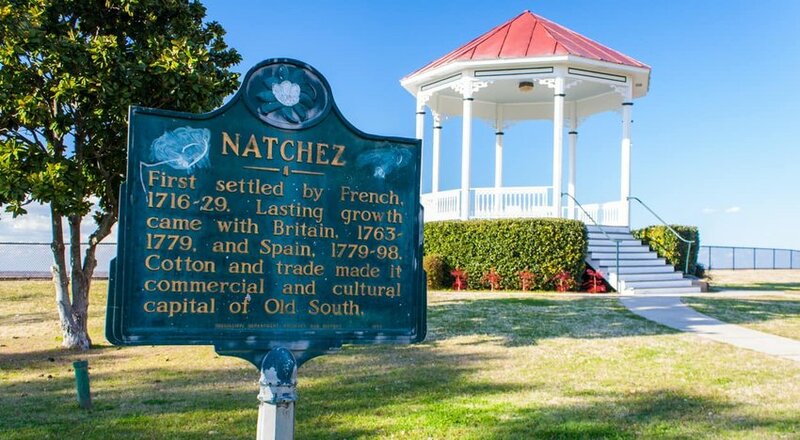 Don’t miss: The Grand Village of Natchez, home to a reconstructed residence of the tribespeople that gave the city its name. Bring the kids for a vacation of endless entertainment in the Ozarks. There’s roller coasters and handicraft demonstrations galore at Silver Dollar City. 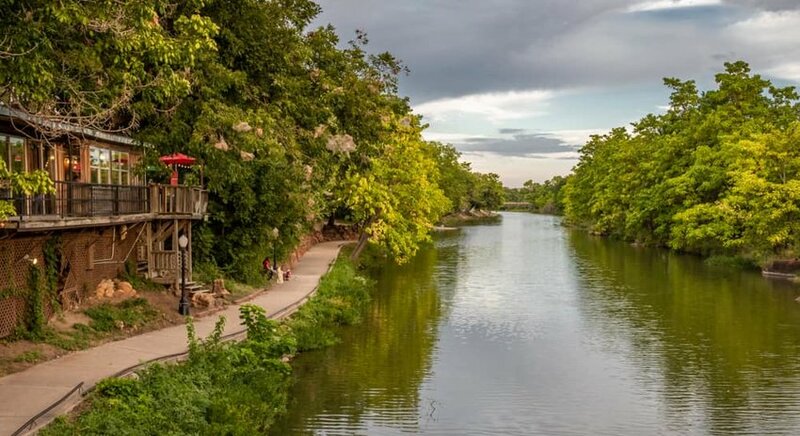 You can hang out at lakeside beaches and enjoy tropical-themed attractions at White Water. There’s even a zoo, a museum of Titanic exhibits and Dolly Parton-endorsed theater, to boot. Don’t miss: A ride along the Ozark mountain sides onboard the Branson Scenic Railway. Nestled amid the Cabinet Mountain Range and Kootenai National Forest, Libby is a gateway to the natural riches of Montana. Within a short drive from the center are forests, lakes, rivers and waterfalls. Camping, fishing and hiking opportunities await in addition to the chance to take scenic drives all the way to the Canadian border. 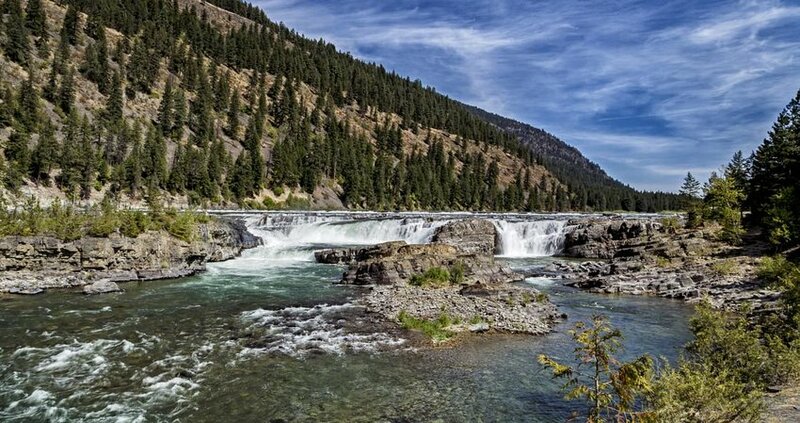 Don’t miss: Views of unblemished forests and the rushing Kootenai River from Kootenai Falls Swinging Bridge. Outdoor pursuits are impossible to avoid on the western edge of Nebraska. Without going far in Gering you can camp and hike in a park on the banks of the North Platte River. Scotts Bluff National Monument looms over the town with more hiking and sweeping views. You can then hop over the river for more authentic Nebraskan living in Scottsbluff. Don’t miss: Masterpieces by Pablo Picasso, Rembrandt and Salvador Dali at the West Nebraska Arts Center. The Wild West is alive and kicking in Virginia City. 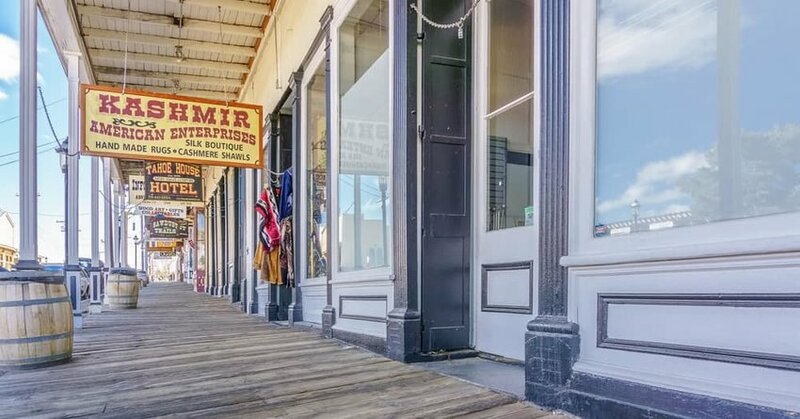 A stroll along the vintage main street is like stepping onto a movie set with a gun-toting John Wayne about to fall out of a saloon. There’s more cowboy souvenir shops and Western-themed bars here than you can crack a whip at. Rumors abound that ghosts haunt the city and there’s a plethora of tours if you are up for getting spooked. Don’t miss: A glimpse in the town’s mining heritage at The Way it Was Museum. The water is the star in upmarket Meredith, namely Lake Winnipesaukee and Lake Wakewan. For those who like kicking back at lakefront resorts, lazing on beaches and kayaking on placid waters, this is the place to do so. Shops, restaurants and hotels set inside preserved colonial and Victorian homes offer bags of New England charm. Don’t miss: Sunset and sunrise cruises on Lake Winnipesaukee aboard the Mount Washington. Beaches, watersports, Victorian architecture and more beaches create a classic seaside town at the southernmost point of New Jersey. Cape May is the quieter corner of the Jersey Shore and less than a 3-hour drive from New York City. There’s a plethora of Victorian homes to admire for when you aren’t at the beach and spotting migrating whales, between May and December. Don't miss: Views over Delaware Bay from Cape May Lighthouse. Once an abandoned ghost town, today Madrid is a flourishing artist’s colony situated on the Turquoise Trail about halfway between Albuquerque and Santa Fe. Around 300 people live here in a mishmash of bohemian homes and 40-odd shops and galleries line the main road. There’s also reminders of the town’s bygone era as a mining village. Don’t miss: A horseback riding tour in the Cerillos Hills State Park. Travel north along the Hudson River from New York City to this dreamy daytrip destination. It’s impossible not to feel the weight of the world fall from your shoulders here when whiling away hours at the riverfront park. Perhaps a scenic boat cruise will tempt you or a spot of window shopping at the antique stores set along Main Street. 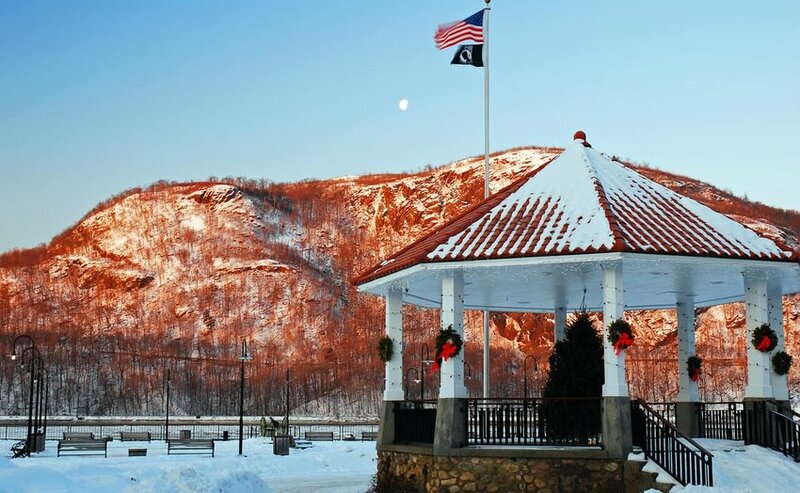 Don’t miss: Hiking trails suitable for all ages in Hudson Highlands State Park Preserve. The winner of Budget Travel’s Coolest Small Town in America 2012, Beaufort oozes classic seaside appeal and pirate history. The English buccaneer Blackbeard ran aground here in 1708 and is believed to have stayed in one of the town’s pretty colonial buildings. A swashbuckling pirate cruise should be on your to-do list, just as dining on the waterfront should. Don’t miss: A wild horse-spotting cruise around the islands of Rachel Carson Reserve. Interested in American presidential history? 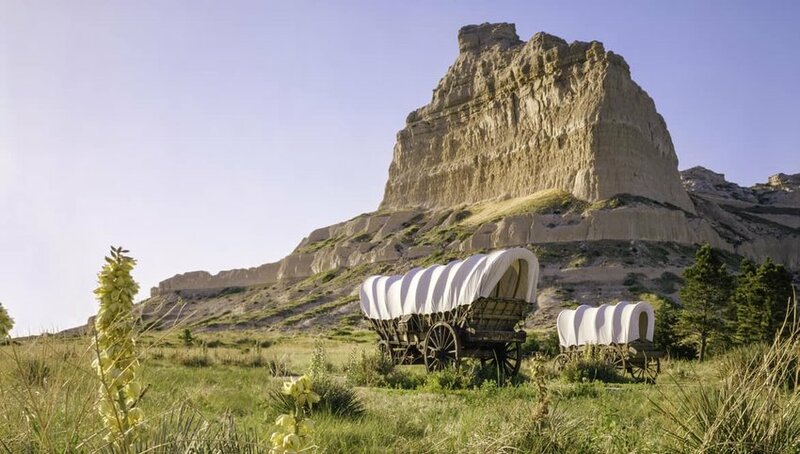 Then visit tiny Medora, located in the dramatic wilderness of the state’s Badlands region. During the summer months, a Roosevelt impersonator recounts the president’s political history and life as a hunter at the Old Town Hall Theater. The town is also the gateway to walks and camping in Theodore Roosevelt National Park. Don’t miss: A hike to the Badlands Overlook for views of North Dakota’s famed natural landscape. With over a thousand acres of parkland, Hudson is an outdoorsy paradise. The town's 21 parks offer fishing ponds, hiking and biking trails and plenty of spots for picnics. This Cleveland suburb is located 45 minutes outside the big city, but feels like a whole other world. With a historic shopping district and several delicious restaurants, it's the perfect weekend away. 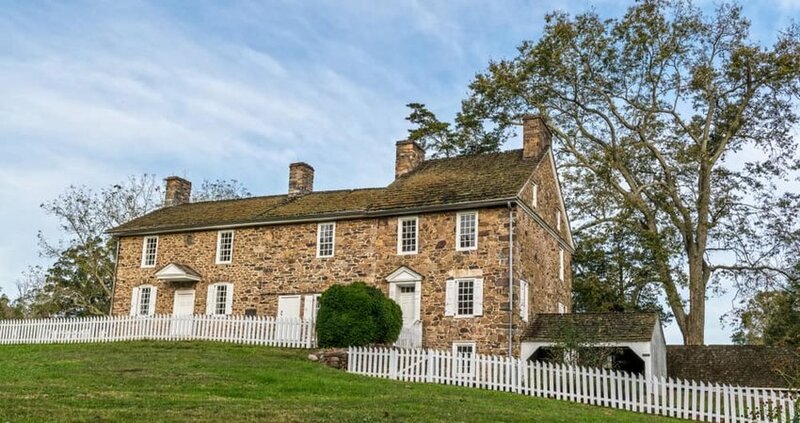 Don’t miss: Seek out underground tunnels and secret passageways that were once a vital part of the Underground Railroad. Swimming holes, a lake and wildlife refuge all in the shadow of the Wichita Mountains make Medicine Park an ideal resort town. Go kayaking on Medicine Creek, swim at the Bath Lake waterhole in the town center and enjoy boating and camping at Lake Lawtonka. Buildings decorated with cobblestones give the town a unique look. Don’t miss: Wichita Mountain Wildlife Refuge for bison, elk and wild turkey spotting. Fans of the seminal coming-of-age classic "Stand by Me" might recognize Brownsville as the setting for Castle Rock. With a keen eye you’ll spot several filming locations while wandering the easygoing streets of the historic center. Head over to Pioneer Park when you have the urge for riverside recreation and picnics amid beautiful natural environs. Don’t miss: Stand by Me Day every July 23, complete with blueberry pie and 1950s children’s games. Named for a bright future that rose out of an industrial past, New Hope is a delight for lovers of visual and performing arts. This was where Broadway musicals were once brought to be trialed and perfected. George C. Scott, Grace Kelly and many others have taken to the stage at the Bucks County Playhouse. Today the town has a vibrant community of artists, who showcase their talents at hundreds of galleries. Don’t miss: A scenic train ride on the New Hope and Ivyland Railroad. 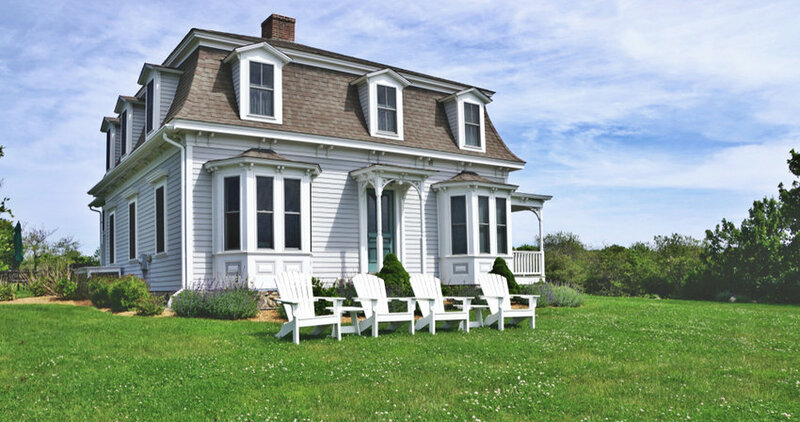 You’ll be getting away from it all at this town on Block Island, a short ferry ride from mainland Rhode Island. Beaches are the order of the day in New Shoreham and there’s several secluded spots to choose from. Choose Crescent Beach for the ultimate escape. Walk coastal pathways and trails that cross a wildlife refuge if you can lift yourself from the sand. 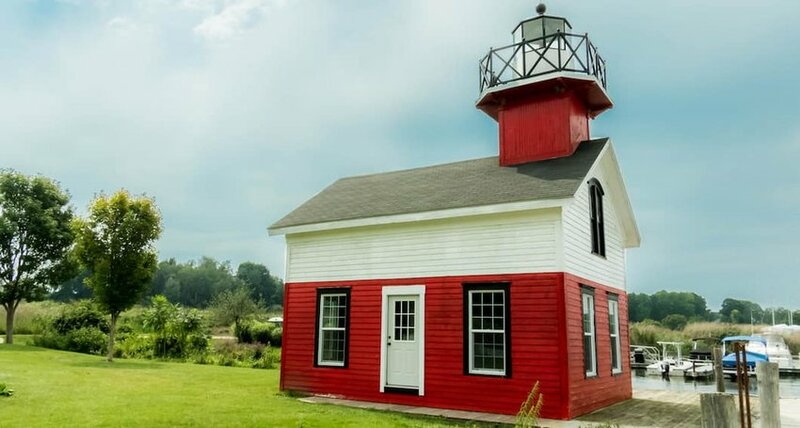 Don’t miss: The typical New England scenery at North Lighthouse. Not to be confused with its namesake in North Carolina, this Beaufort is all about the antebellum. 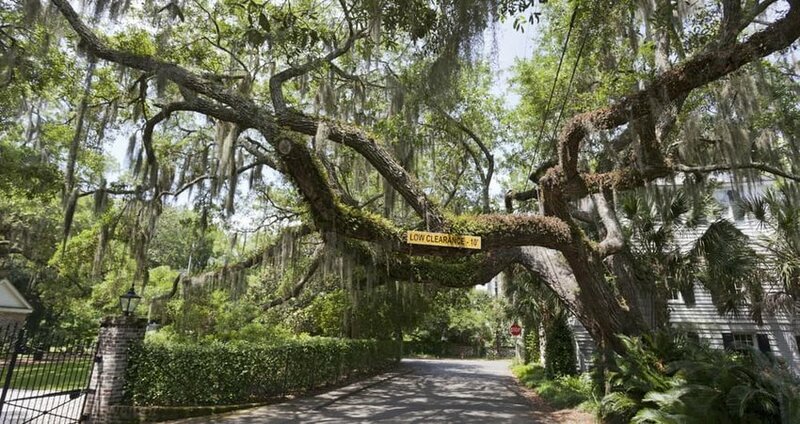 You’ll see preserved neoclassical mansions, Civil War-era homes and plantations at the turn of every corner. Tom Hanks ran through the town on numerous occasions while shooting "Forrest Gump". In the mood to relax? Take a picnic to the waterfront park. 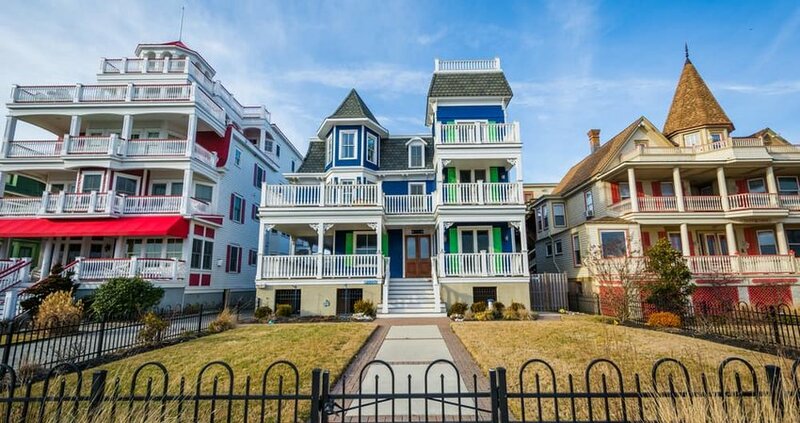 Don’t miss: A self-guided walking tour of the luxury homes in The Old Point district. Besides the bodies of heroic outlaws Calamity Jane and Wild Bill Hickok at Mount Moriah Cemetery, this gold rush town is far from being as quiet as its name suggests. In fact, don’t be surprised to walk into the middle of a mock shootout when frequenting the saloons on Main Street. 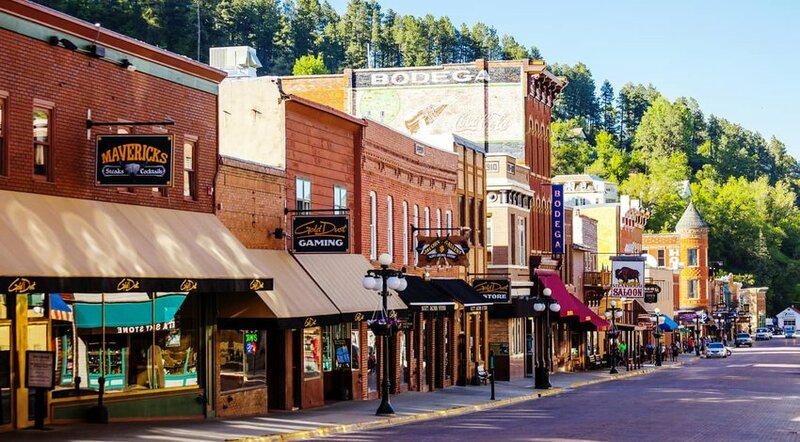 The encompassing Black Hills National Forest welcomes with hiking and ski resorts. Don’t miss: Deadweird, Deadwood’s larger than life Halloween celebrations. Make this your starting point for adventures in the Great Smoky Mountains National Park. While nearby Gatlinburg attracts those in search of non-stop entertainment, Townsend caters for the more tranquil visitor. That said, there’s plenty of history in this former Native American settlement. 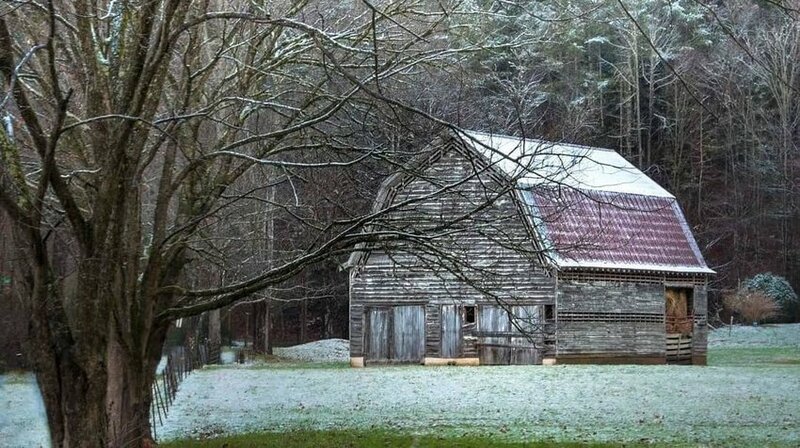 The Great Smoky Mountains Heritage Center is a brilliant introduction to the adjacent park. Don’t miss: A hike to Tuckaleechee Caverns and camping at Cades Cove. 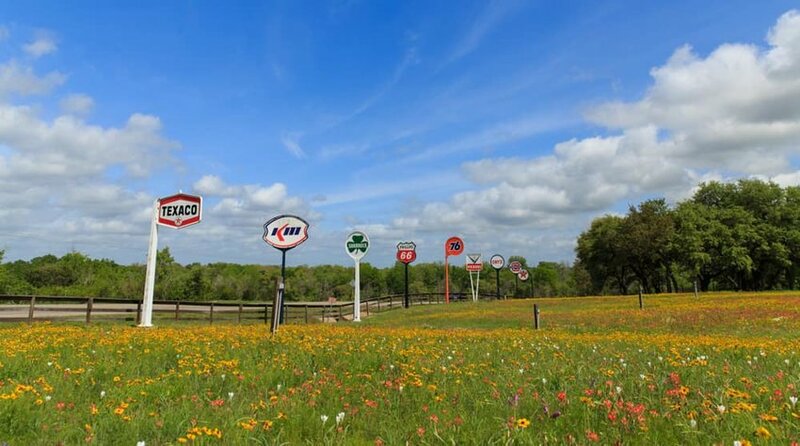 Make a detour on your way between Austin and Houston to Round Top, where there appear to be more antique dealers than actual town residents. When not browsing antiques and shopping at a farmer’s market, drop into the Royers Café to sample one of its legendary pies. Road trippers can park up for the night at the town’s RV park and campground. Don’t miss: Performances of Shakespearean plays in Winedale by students of the University of Texas in Austin. Here’s your classic example of a town being small in size but big on attractions. Skiers can tackle the terrain used during the 2002 Winter Olympics and movie fans can attend the world-famous Sundance Film Festival. Elsewhere, the resort town has reminders of the region’s mining heritage and an abundance of art, entertainment and nightlife attractions. Don’t miss: A drive through Uinta-Wasatch-Cache National Forest on the Mirror Lake Highway. With a historical background and thriving art scene, this East Coast gem is charming to the extreme. Come fall the surrounding area is scattered with foliage straight out of a classic landscape painting. From rustic inns and farmhouses to local craft breweries and artisan shops, this small town is perfect for a New England retreat. Don't miss: Taste samples of fresh cheese and maple syrup at Sugarbush Farm. Country music fans make a beeline for Bristol, the birthplace of the genre and one of the most-loved towns on the Crooked Road heritage trail. It’s actually a city in both Virginia and Tennessee with the state line cutting right through the center. The Birthplace of Country Music Museum and a wealth of live music venues are obvious highlights. Don’t miss: A tour of the Appalachian Caverns for a non-music activity. Bavaria comes to the U.S. in the foothills of the Cascade Mountains. 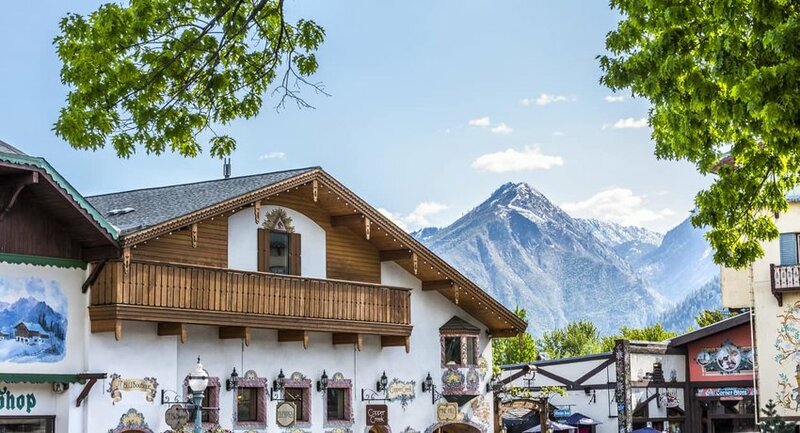 With bakeries, beer halls and restaurants serving bratwurst occupying alpine-style buildings, Leavenworth is packed with German customs. The town’s Oktoberfest brings all of the traditions under one raucous beer-swigging roof. From riverside pathways to ski areas and mountain hikes, there’s plenty of recreation, too. Don’t miss: The curious Leavenworth Nutcracker Museum, home to nutcrackers of all ages, shapes and sizes. In the mood for a destination with more than its fair share of history? Harpers Ferry is a living museum bordered by both the Potomac and Shenandoah rivers. It was the site of three Civil War battles and where the first train crossed the Potomac. Mark Twain stayed here and Lewis and Clark began their western expedition from the town. Don’t miss: A walk along a section of the Appalachian Trail that skirts the Potomac River. Alpine architecture defines the center of America’s Little Switzerland while elegant clapboard homes characterize the surroundings. Swiss traditions are rife in New Glarus, with bakeries, cheesemakers and chocolatiers all serving up delicacies. Drop into the century-old Puempel’s Olde Tavern and award-winning New Glarus Brewing Company for a beer and a chat with a local. Don’t miss: Glimpses of Wisconsin’s countryside along the Sugar River State Trail. The legends of Buffalo Bill and the rodeo bring visitors to Cody. For the history, there’s museums dedicated to Civil War weapons and town founder Buffalo Bill. The Old Trail Town does a commendable job of recreating the town in its original form. Attend an event at Cody Stampede Rodeo to see why this is the Rodeo Capital of the World. Don’t miss: Drive the Buffalo Bill Cody Scenic Byway into the heart of Yellowstone National Park.